Hakuna Matata: Climbing Kilimanjaro- The Roof Of Africa – Climb.Hike.Travel. I dreamt about climbing Kilimanjaro for a while. The peak has always been on my radar and finally in spring 2017 I was finally able to go on this trip. It started with a very long flight from the Bay Area to London and then to Kilimanjaro airport after a quick layover in Nairobi. We met our driver at the airport and were taken immediately to our hotel, and later that night myself and the rest of the climbing team had to attend a pre-climb info meeting with the guides. 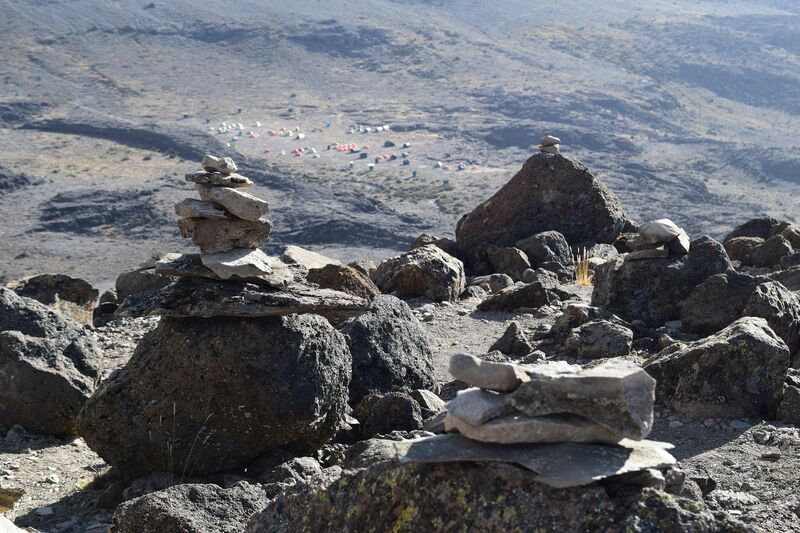 Then first thing in the morning we embarked on a week long Kili adventure. 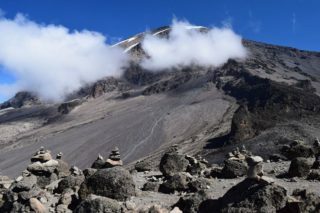 One of the famous Seven Summits, not only is Mount Kilimanjaro the highest mountain in Africa, it is the highest free standing mountain in the world. Free-standing means it is not part of a mountain range. 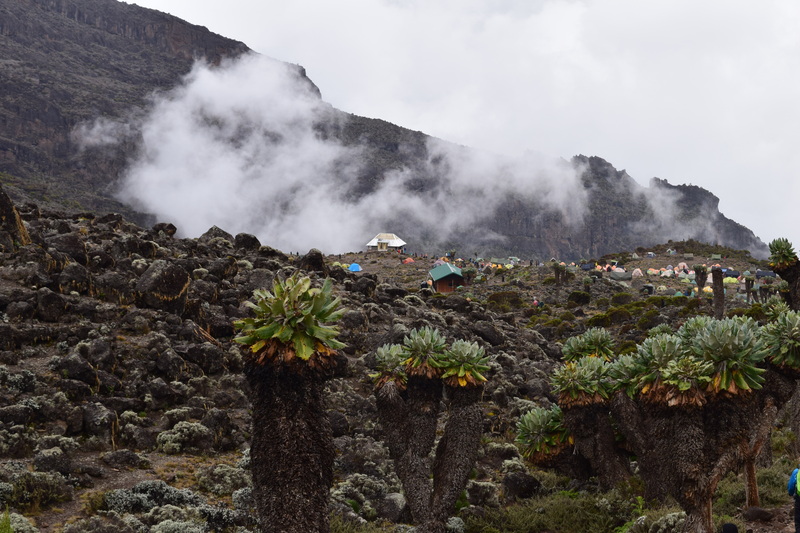 Kilimanjaro has three volcanic cones, Mawenzi, Shira and Kibo. 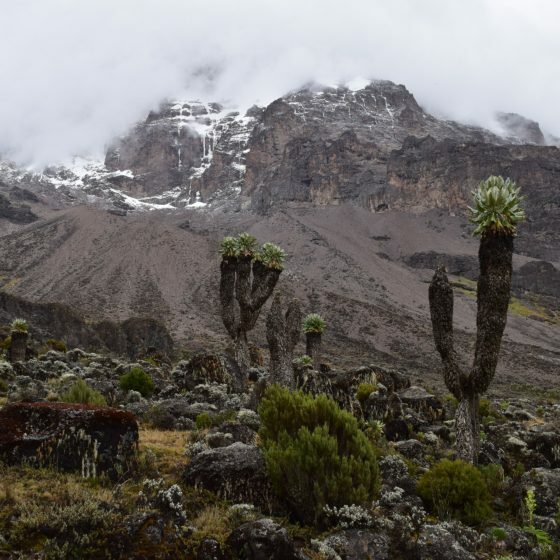 Mawenzi and Shira are extinct but Kibo, the highest peak, is dormant and could erupt again. The most recent activity was about 200 years ago; the last major eruption was 360,000 years ago. The summit on Mount Kilimanjaro is called Uhuru Peak and stands at 5,895m or 19,341 feet. To put this in perspective, Mount Everest, stands at 8,848 meters (29,029 feet) – just over 2,950 meters higher. But here’s an interesting Kilimanjaro Fact: Both North and South Base Camps in Everest are below the summit height of Kiliminjaro. 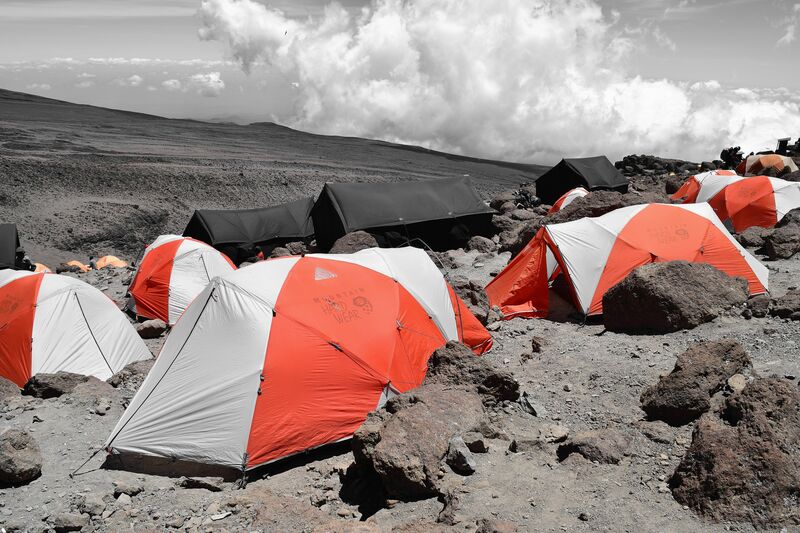 But while the hike to EBC takes anywhere between 8-10 days, summiting Kili takes 4-5. 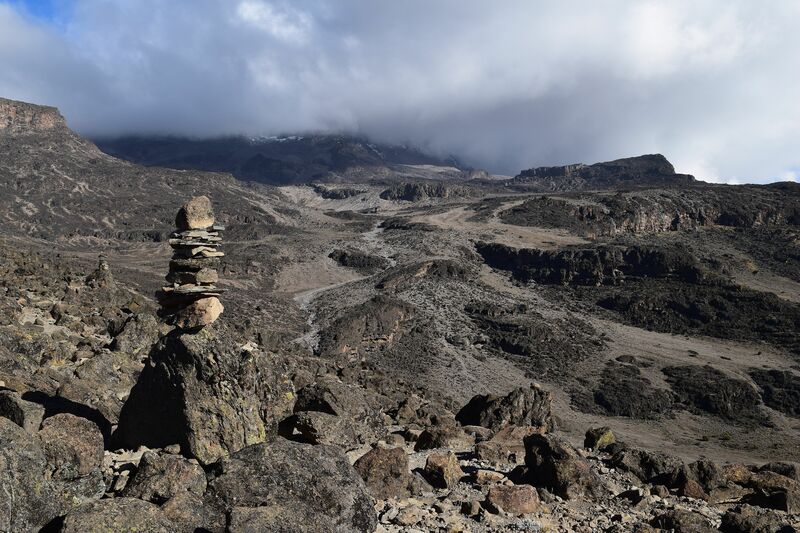 Such a rapid ascent makes Kili a difficult and dangerous mountain to hike due to the risks of Altitude Sickness. 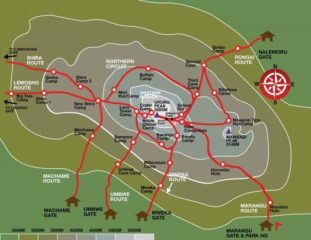 There are six official Kilimanjaro routes. 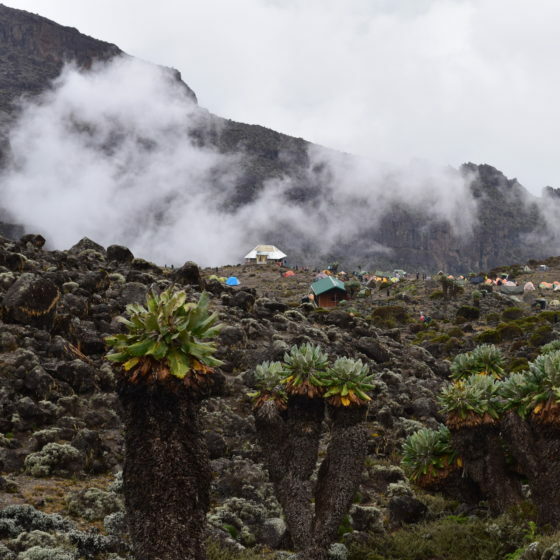 Three routes – Machame, Umbwe, and Marangu – approach from the South, two routes – Shira and Lemosho – from the west and Rongai approaches from the North-East. 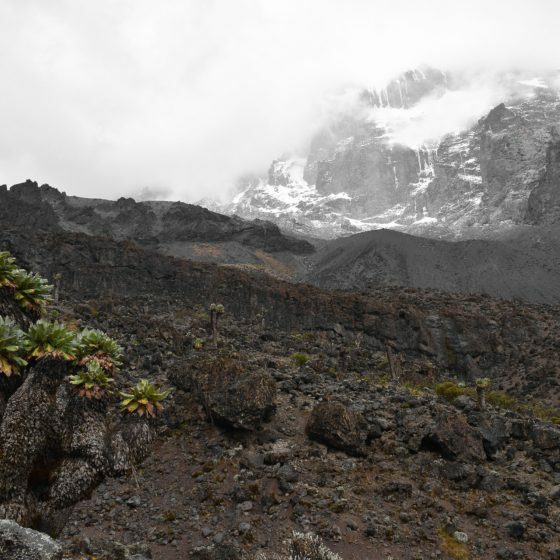 The Northern Circuit is a seventh route option that approaches from the West using the Lemosho start point, but then circles around the north of Kilimanjaro and follows a summit assault passage via Gilman’s Point. The final route, Mweka, is used only to descend. 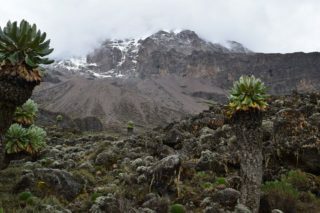 My friend Heather and I picked an 8 Day Lemosho Route with Ultimate Kilimanjaro. The more days you spend climbing up, the better your chance is of fully acclimatizing and actually summiting. We would spent 7 days climbing up with Day 7 being the summit day, then start descending quickly. Mount Kilimanjaro is comprised of 5 very distinct vegetation zones that have formed because of the mountain’s unique location and height. As Mount Kilimanjaro sits just south of the equator, the base experiences the heat and sunshine associated with the region. However, the climb gets drier and colder the more you ascend, with the summit having similar conditions as you’d find in the arctic. These zones reflect the temperature and precipitation change. On a typical climb you pass through 1 zone approx. every day and a half. 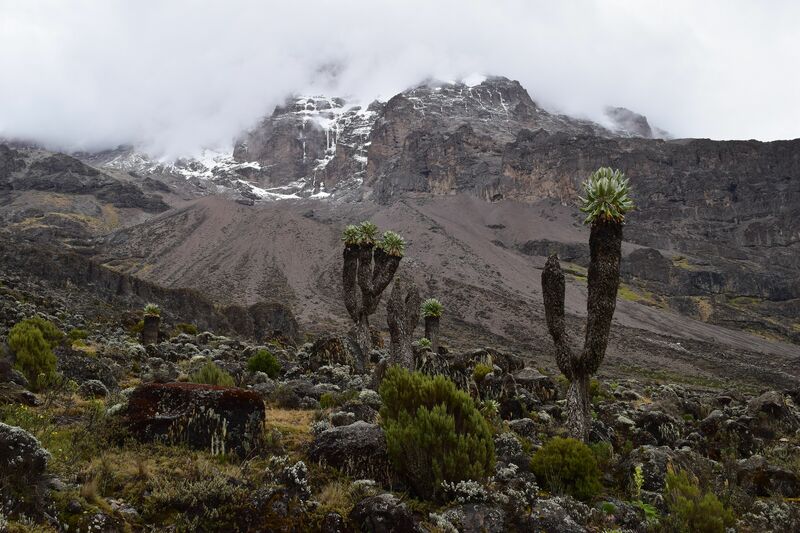 There are two distinct trekking seasons which are the best times to climb Kilimanjaro. Anywhere between January-March and June-October. We decided to climb in February and timed our summit night during a full moon. Everyday the trek starts the same. You are woken up by the porters around dawn and given hot water to get cleaned. Next is breakfast in the main tent; porridge, tea, coffee, eggs and bacon. While you eat breakfast the crew packs up and then you start the trek. Trekking time varies but usually it would be about 4 hours until either your next destination or lunch stop. Some of the hiking days at the beginning are fairly short, hike til noon and then free time. You can explore the surroundings, take a nap or play cards with your teammates. 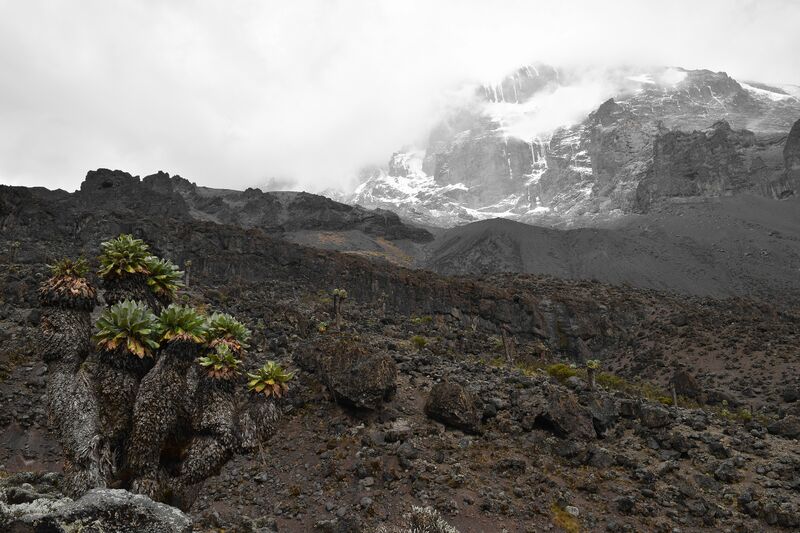 As you climb higher, the guides will add acclimatization hikes in your schedule, usually between lunch and dinner. Acclimatizing hikes happen after you make camp for the night. You typically hike another 1000 feet up before descending back to camp. This lets you acclimate to the altitude and helps prevent altitude sickness. Early afternoon on day 6 we reached base camp, the final stop before summiting. From there you can see the summit trail clearly and it’s also the place where all the different routes meet. It is also noisy and crowded up there, so bring earplugs :D. After an early dinner, it’s time to sleep. 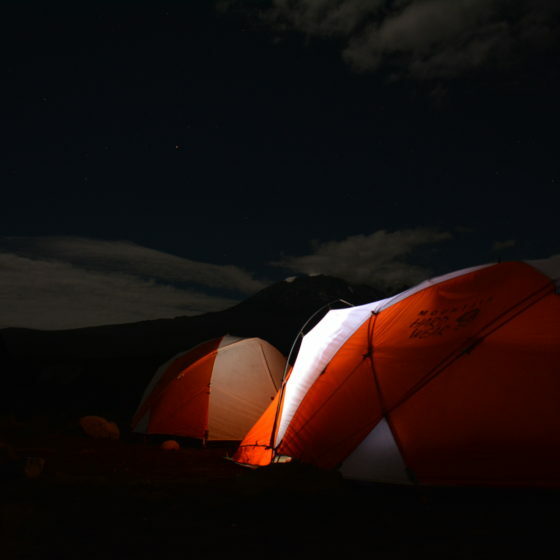 The porters will wake you around 11pm to eat a late dinner/early breakfast and by midnight you go for the summit. The summit bid is always after midnight and it takes about 6 hours. It’s specifically timed for you to reach the summit at the sunrise. It is a slow, long, and cold hike. 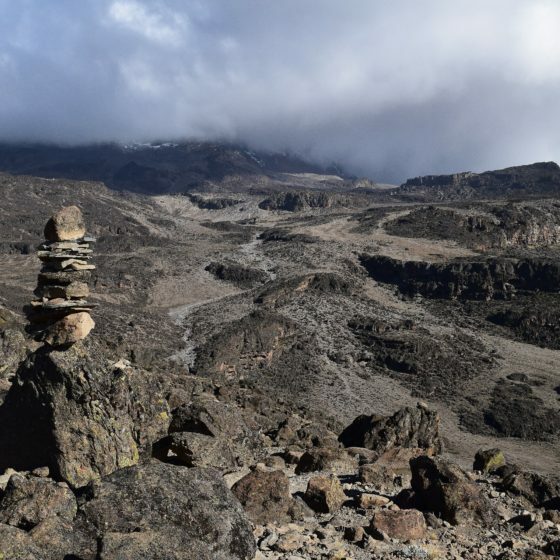 The catchphrase for climbing Kilimanjaro is “pole pole” (slowly, slowly) and you will hear that from your guides all the time, but specifically during the summit climb. When you go slow enough, your body’s muscles won’t get tired and you will be able to sustain energy for hours. 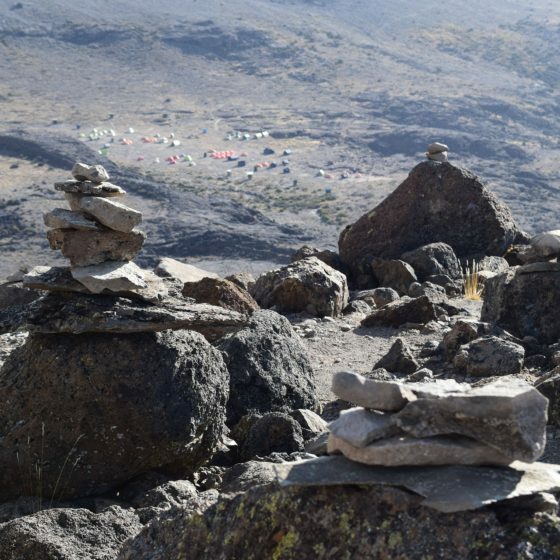 The guides have one job and one job only – to safely guide you to the top of Uhuru Peak. “Safely” being the most important word. They will never help you climb if they suspect that you might be suffering from altitude sickness. They will urge you to go down and since they are the ones calling the shots, you’re going to go down. Once you summit, it’s time to take pictures and congratulate one another. You spend very little time up there, about thirty minutes in total. The guides will allow you a small break and then you all start heading down. 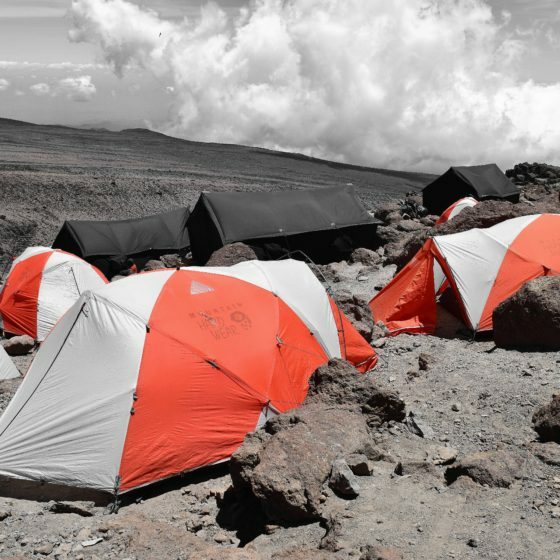 You have another break at basecamp for an hour or two, and most climbers nap for the entire time. Afterwards, you pack your belongings, and continue your descent. 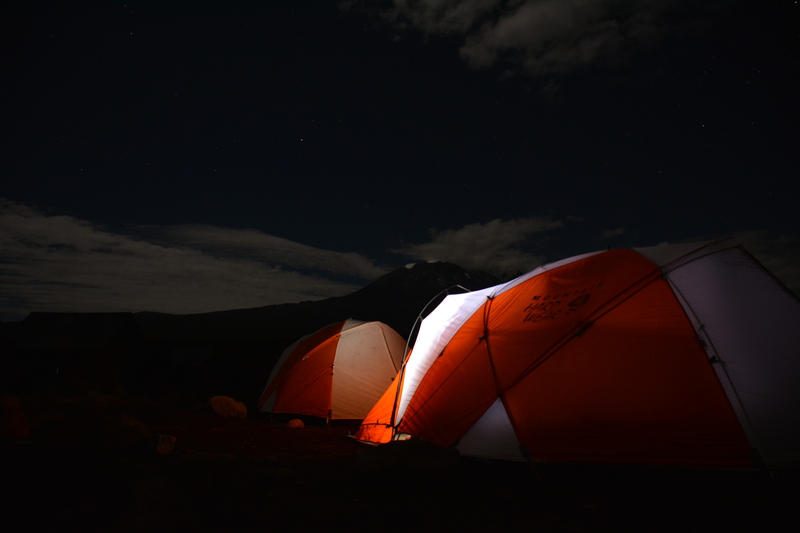 The same night or sometimes the next morning, there is a big celebration where guides, porters, and clients come together to sing Kili songs and congratulate each other on reaching the top of the Africa. Then its time to pack up and head back to town of Arusha for long anticipated (and much needed) shower and beer. 1. Read as much info as you can. Do proper research. There is a reason why Kilimanjaro is one of the 7 Summits. This is no easy walk up. 3. Bring something that will help you pass the free time. Write a journal, take pictures, play cards. 4. Bring some gifts for the porters! I brought giant bag of chocolates and they loved it. 5. Bring cash for tips! All porters and guides deserve to be tipped for their hard work. We showed special appreciation to our toilet guy. He set up and packed up the toilet every day for us, carried it on the trail to next camp and cleaned it multiple times a day.